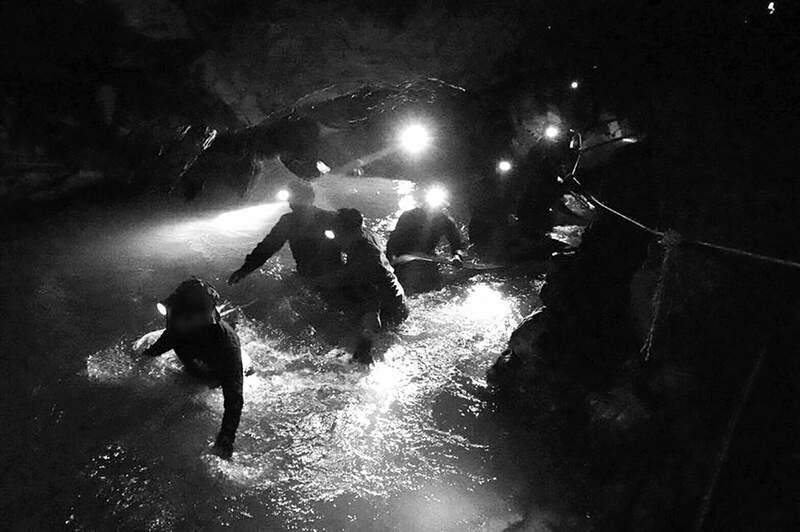 “Rising Water: The Story of the Thai Cave Rescue” by Mark Aronson. Do you remember last summer’s big news story about 12 boys who were trapped with their soccer coach deep inside a cave in Thailand? As each day passed, and more and more rain flooded the cave, their rescue became more urgent but less likely. In “Rising Water: The Story of the Thai Cave Rescue,” author Marc Aronson explains the huge danger involved – for the rescuers and the ones to be rescued. He also tells us a lot more about the Tham Luang cave and the skills of cave divers than was reported last June and July. Aronson dedicates his book to the many volunteers, particularly Sgt. Saman Kunan, who drowned in the rescue. Kunan was a retired member of the Thai Navy’s special operations SEAL unit. Surrounded by lush green hills and rice fields, the cave consists of 6.4 miles of passageways, some of them large, some very narrow and some splitting in two directions. The youth soccer team, known as the Wild Boars, was trapped on a small sand bank that was miles from the entrance, with no food or natural light. The boys hadn’t told their parents they were going to explore the cave, so they had no idea whether anyone was searching for them. Aronson praises Ekapol Chantawong, the team’s assistant coach who goes by Ek, for keeping the boys calm and united during those first 10 days. Ek had learned meditation at a Buddhist monastery, so he passed along his knowledge. Avid soccer fans, the boys amused themselves by wondering what matches were being played at the World Cup. The book also addresses the uncertain circumstances of Ek and several of the boys. Adul Sam-on, the only boy who could speak English to the British divers, had been brought into Thailand illegally and was considered “stateless,” similar to an undocumented immigrant in the United States. Only 14, he knew five languages. Ek, Adul and two other boys in the group, who were all considered stateless, had a second happy ending after the rescue: They were granted citizenship by the Thai government last August. 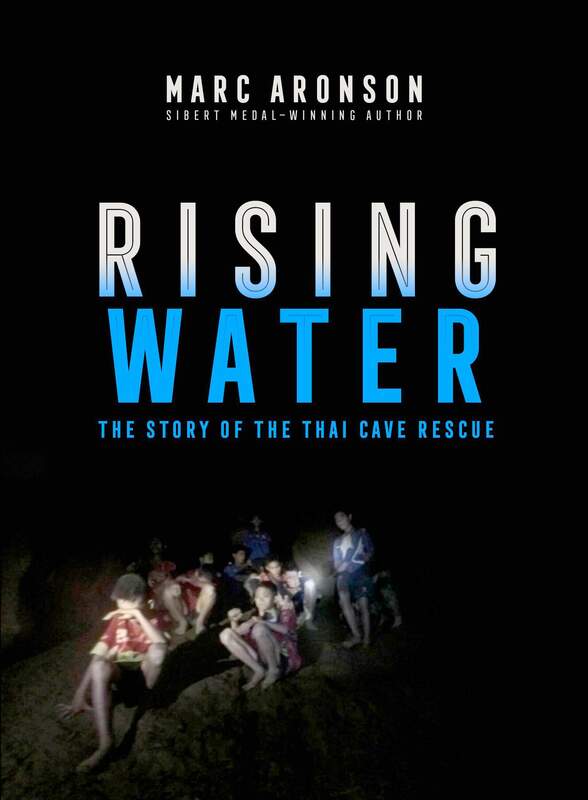 “Rising Water: The Story of the Thai Cave Rescue” by Marc Aronson is available for preorder at Maria’s Bookshop, 960 Main Ave. For more information, visit https://bit.ly/2HyYJNQ.